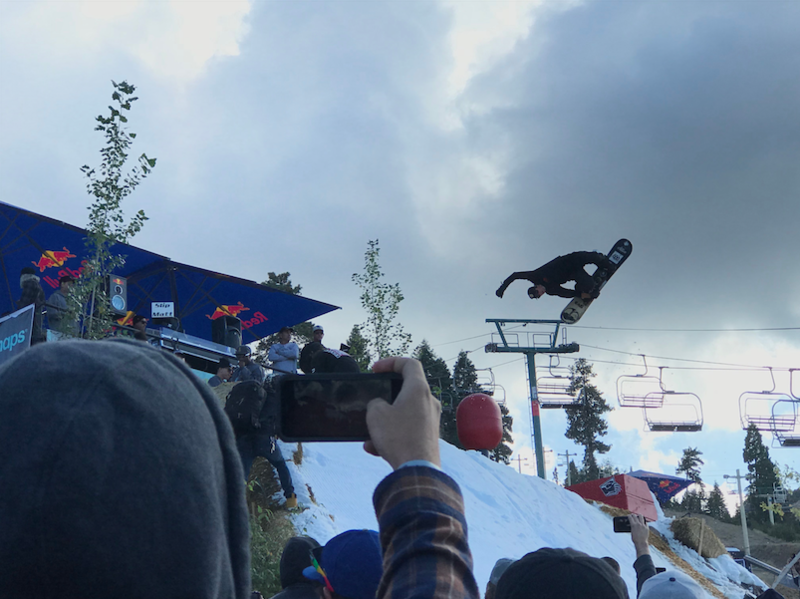 I took a flight to LA and then drove to Bear Resort to watch Hot Dogs and Hand Rails, was it worth it? Let’s start with the travel side of this. Flying Denver to LA was super cheap and that was cool. Driving from LA to Bear Mountain on a Friday afternoon during peak rush hour sucked a lot. I stopped at an In-And-Out burger for quick food during the drive and it was super busy. Cali people really love their In-And-Out. After driving an incredibly curvy road up the side of a mountain I arrived at Big Bear Lake. Life was super chill from this point on. Going inverted is a guaranteed to please the crowd. Now to the main event, the real meat of this article (don’t worry, I’ll keep it GMO free.) 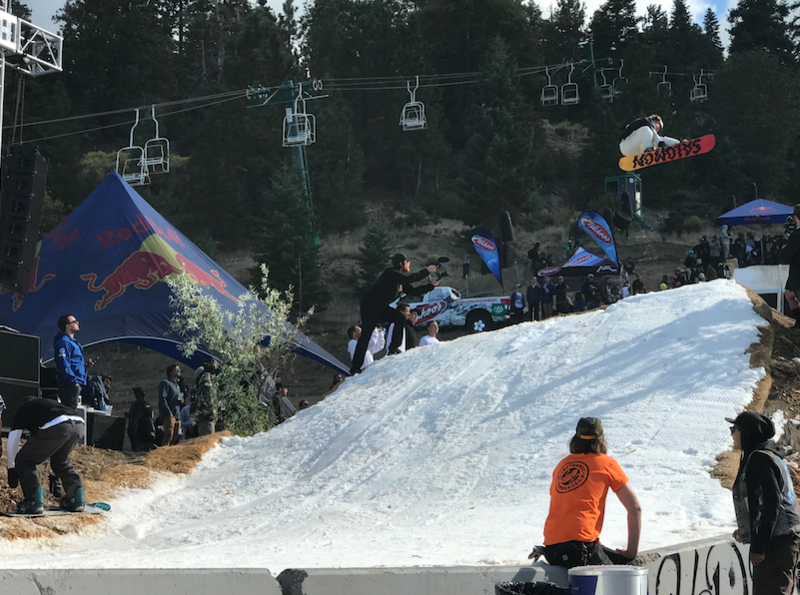 The layout this year at HDHR was interesting to say the least. It’s not that I was surprised as much as I was confused. On lookers left: Feature 1 was a basic down rail over a staircase, Feature 2 was a gap jump over a mini skate ramp that looked about 20-25ft lip to landing, Feature 3 was a large skate inspired spine and honestly no one seemed to care about that one. To lookers right: Feature 1 had a street style down rail on one side and a gap to tube on the other, Feature 2 was a massive hip past the DJ booth, Feature 3 was the junkyard pile and this was definitely the most creative feature at the event. Other than the Junkyard Pile the features this year felt less creative than other years and looked to be a balance between rail and air. When I think of HDHR I think of an insane jib circus and this wasn’t the case. These are pro riders hitting basic down rails, a hip, and a jump. The junkyard section was the only part that lent itself to creativity and interpretation. 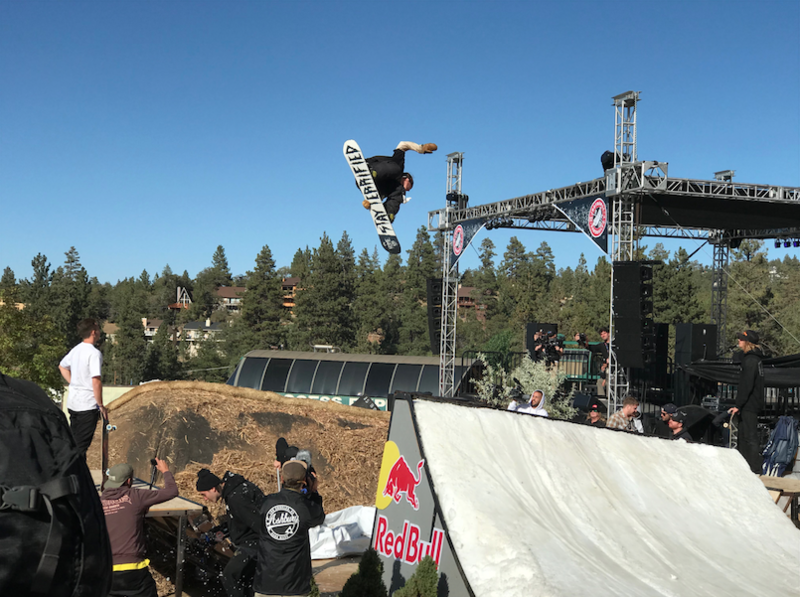 All the riders were throwing down at a high level with tricks like hardway backside 360s onto the rail, giant gap to rail transfers, and massive rodeos over the hip. Personally I liked watching the riders try to find ways around the junkyard pile but the crowd preferred big ol’ backflips over the gap jump. After all was said and done, bodies hurled through the air like sacks of potatoes dropped from planes, blood and Redbull left on the snow, I still couldn’t tell you who won and and why. Everyone was running left to right to hit the features with no real pattern which led me to believe the judges were brilliant in keeping track of these guys or they just looked to Ullr for answers. Some people thought this was a scene from a post apocalyptic Italian sci-fi rip off. It was just another day in the park in Bear. Who wants to Party? Andrew W.K. Does! Let’s not forget that there were 3 music performances at the event. The Bad Seeds and Andrew WK were awesome live bands to see. They kept the energy level on high even when lacking a crowd. 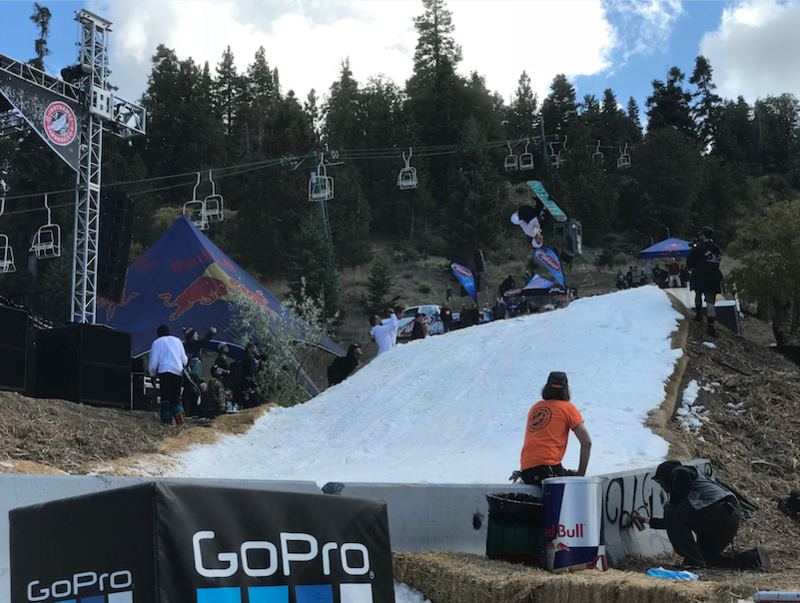 I believe they should have allowed the live bands to play through the riding but apparently a DJ hitting buttons was a better idea during shred time. Hype was off the charts for DJ Snoopadelic aka Snoop Dogg but he was possibly the biggest let down at the event. His arrival brought cheers from all over the mountain and with a big, big inhale of his blunt he opened his mouth and, exhaled smoke. That is actually all he did. 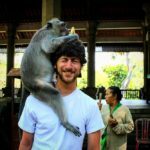 He smoked blunts, played some of his favorite tracks, and then left. He never spoke a single word into the microphone when all we needed was a simple, “fo shizzle.” Honestly I assume it was Snoop because they said so but I would also believe this man could have been a double for him due to his lack of true presence at the event. But the real heros of HDHR were Method Man and Redman. These 2 guys had as much energy as the riders from earlier in the day. 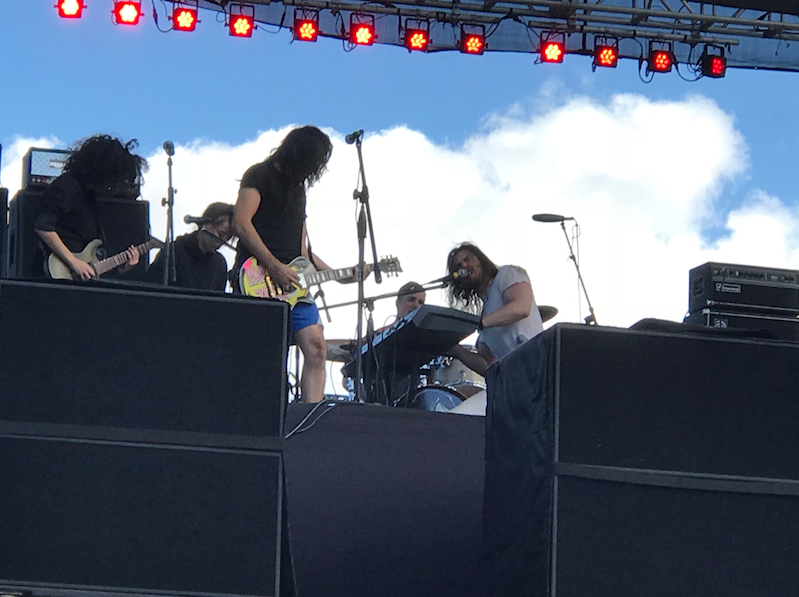 They were honest, hilarious, real to their music, and genuinely excited to be playing a show for the crowd. What could have been a lackluster performance for a check turned into a full on appreciation for live hip-hop. Meth and Red are well into their forties but were performing like it was the early 90s. It was a performance I will remember for a lifetime. When in doubt, bone it out! 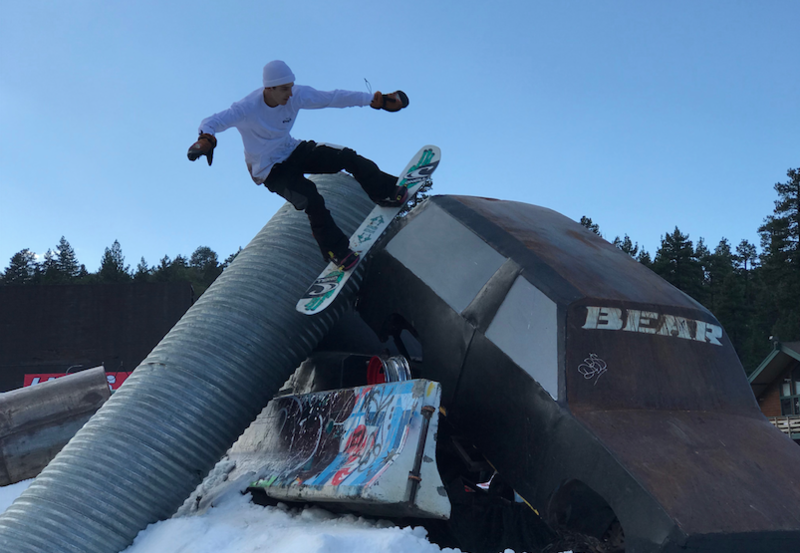 Big Air at a Rail Jam. For a measly $25 I got to witness pro level shred and carnage and live music that I loved. 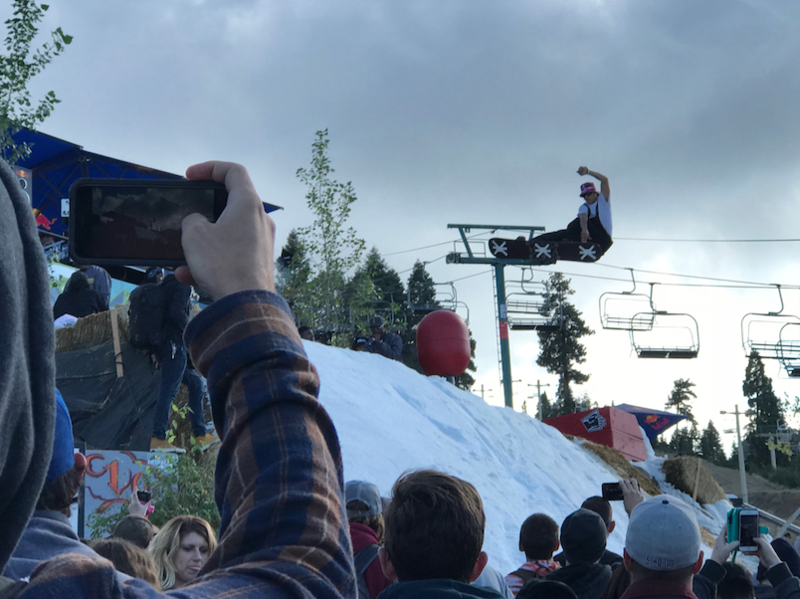 All in all, I was happy to go and witness the “Biggest Pre-Season Snowboard Party in the USA” even if the hot dogs weren’t free.